The Snark ST-2 is a clip-on chromatic tuner that's designed for acoustic instruments, primary of which is the acoustic guitar. 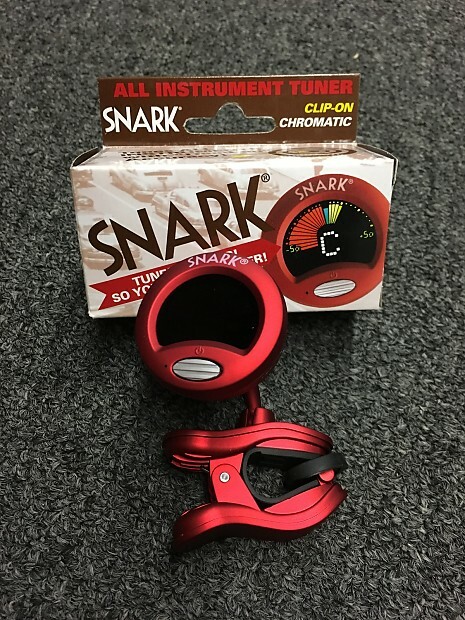 It features a compact profile that has endeared the Snark brand to many players, while housing a faster chip that improves the speed and accuracy of its tuning. Description: Don’t suffer loose tuning, get a Snark SN-8 clip-on tuner and keep your tuning tight. The SN-8 clip-on tuner is the only clip-on tuner you’ll ever need, no matter what instrument you play.